The weekend is just about here! YAY! I am so excited to share this post with you today! 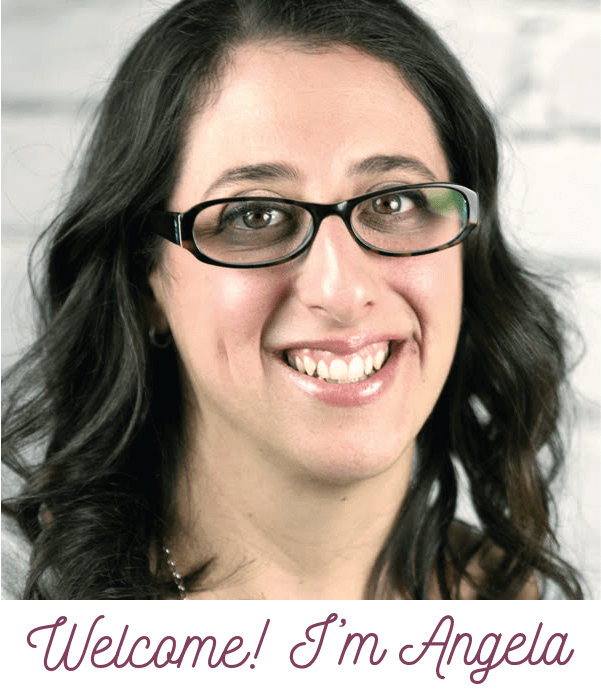 This is a Freaky Friday Recipe Swap that I did with some of my blogger friends. 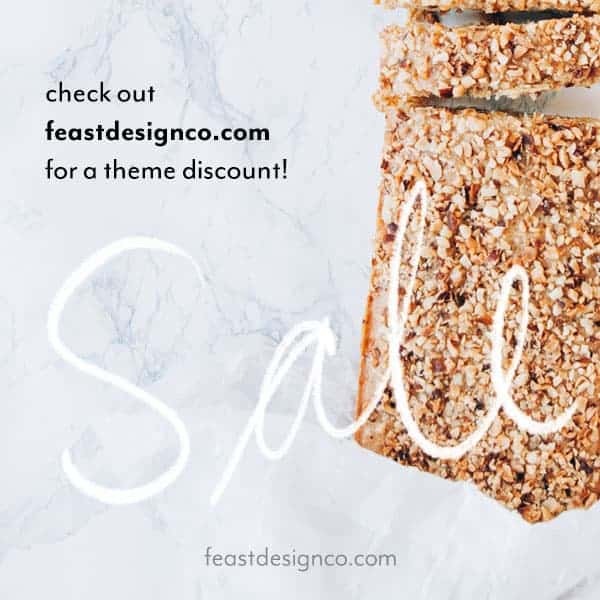 We all were assigned a blog to cook/bake from and today we are ALL sharing our posts, and who we had! 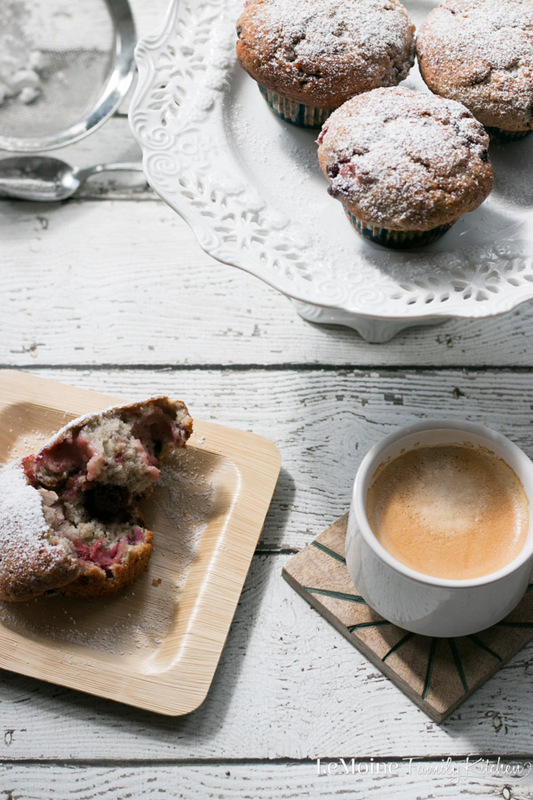 It’s been TOP SECRET and now I finally get to share these Mixed Berry Muffins from my friend Candi over at The Devilish Dish! I love how fun these recipe swaps are and I am thankful to participate. I had a blast browsing through The Devilish Dish to find a recipe to make and share here. I make muffins very often- a lot of times it involves bananas because I always seem to have a few that are “too brown” for eating but boy are they perfect for baking with! Candi has some fantastic recipes like her Chocolate Chip Cookie Dough Ice Cream Cake, Individual 7 Layer Dips and Asian Chicken Chopped Salad. 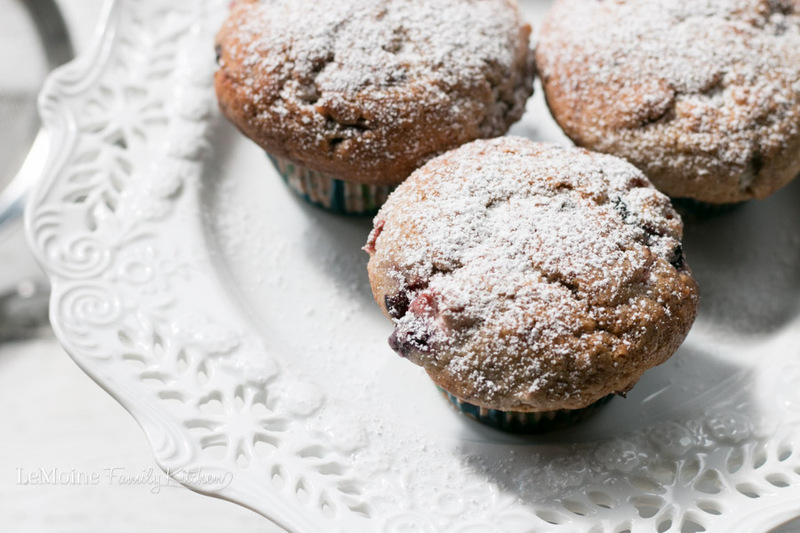 When I came across her Berry Best Muffins recipe I knew I found my winner! I was intrigued not only my the pure deliciousness factor but that she uses a bit of a different technique then I typically do for muffins so was excited to give it a try! The results are GREAT! 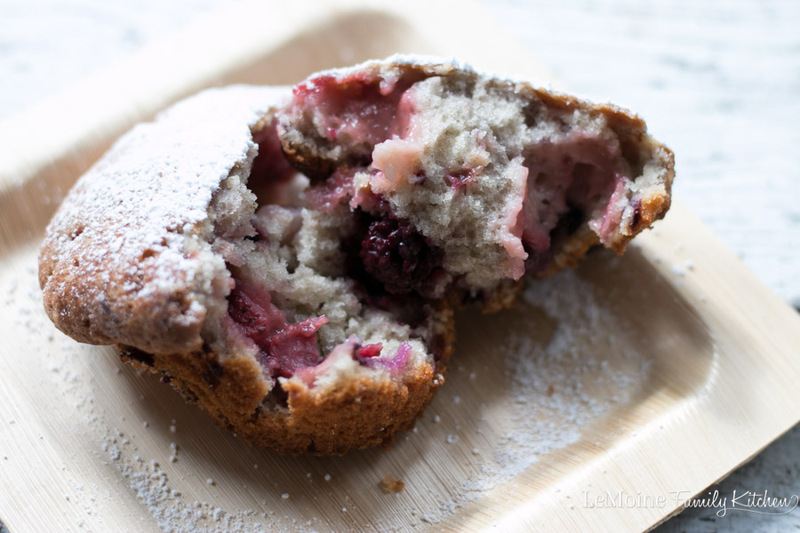 A perfectly soft, tender center that is just bursting with berries and the muffin top with a perfect crispness to it. The only difference from Candis original recipe is that I halved it and my mixture of berries is just slightly different. I used a frozen bag of mixed strawberries, blackberries, blueberries and raspberries. Isn’t that the wonderful thing about cooking and baking? It is all about what you have available to you and maybe simply a preference/allergy. Because I found this particular mix of berries I did have to bake mine a little longer because of the moisture and well everyones ovens are different so you can use the toothpick trick to be sure to know when yours are ready. Cream together butter and sugar with an electric mixer. Add eggs, one at a time, and vanilla and mix until smooth and creamy. In a separate bowl combine flour, baking powder and salt. Alternately add flour mixture and milk to the creamed mixture (beginning and ending with flour.) Mixture will be thick. Gently fold in berries. Scoop the batter into a cupcake pan with liners, sprayed with non stick spray. Sprinkle the tops with a bit more granulated sugar. Bake at 425 degree for 10 minutes. After 10 minutes of baking, turn oven temperature down to 375 degrees and bake an additional 15-25 minutes until muffins are done in center and a rich, golden brown on top. Sprinkle with a little powdered sugar before serving if you’d like too! BE SURE TO CHECK OUT ALL THE AMAZING BLOGGERS PARTICIPATING IN THIS FUN RECIPE SWAP!